Every dream takes shape when one is able to work hard to achieve them. Be it one’s objective to reach a new promotion at their job or obtaining their right to showcase their talents, everyone has some form of dream they want to accomplish, be it big or small. For the Steelers, their dream remains the same since the AFL-NFL merger took place in 1970: Be the last team standing. 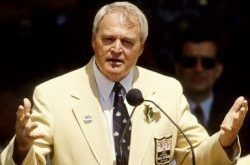 To that end, the organization has undergone over 50 years of change since then to nab six Super Bowl titles, making the Steelers the literal “Lord of The Rings” in the most popular sporting event in North America. However, like each dream must come a nightmare. For Pittsburgh, shortly after the conclusion of the 2012 season, that nightmare finally surfaced. No longer were stalwart heroes like Troy Polamalu or Brett Kiesel making impact plays and saving the day. No longer was Casey Hampton clogging those rushing lanes and defeating opposing teams ability to smash through Pittsburgh’s defenses. Most importantly, no longer were the Steelers the class of the NFL when it came to their defense. From 2013 onward, the nightmare was a reality; Pittsburgh had approached a “winter” on its most celebrated phase of the game and SteelersNation weathered and endured every second. However, within these last three years, SteelersNation and Mike Tomlin, through the most dark mists of this tumultuous winter, did see a glimpse of what was to become the beginning of a beautfiul spring. Like a radiant shine, Ryan Shazier, a young, eccentric rookie from Ohio State, flashed brillance in his first preseason action against the Buffalo Bills. Since then, Tomlin has found a fourmula for success much in the same vein his predeccessors did in Chuck Noll and Bill Cowher; draft exceptional athletes and transform them into great football players. After Shazier and his classmate Tuitt, Bud Dupree would come soon after. 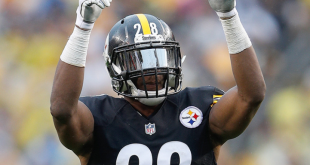 Artie Burns, Sean Daivs and Javon Hargrave would not only succeed Bud but would play an integral part of the defenses resurgence in the second half of the 2016 campaign. One more piece however was needed as both SteelersNation and Mike Tomlin knew. To correct the mistakes of the past and to erase the final phase of the nightmare, a new radiant star with big dreams would have to shine brighter than the trepidation of his predecessor. One that would signal the end of the nightmare and correlate into a new era of defensive dominance. 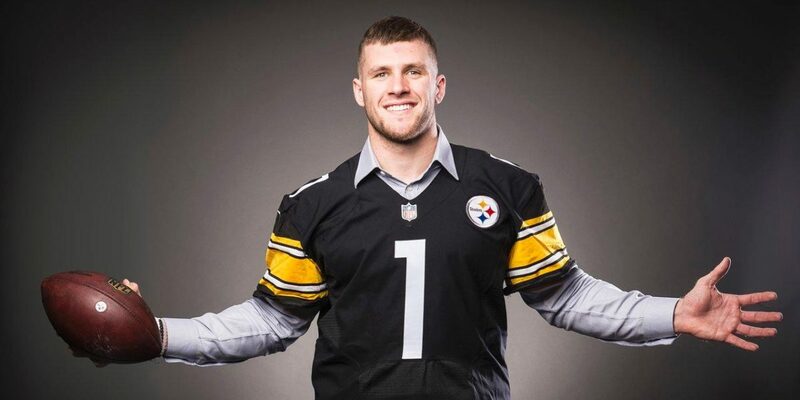 Much like Ryan Shazier before him, T.J. Watt was the shining beacon that the Steeles have long sought after since 2010. Given the fact that his two brothers in J.J. and Derek had both assisted him in his development on what it takes to be NFL ready, many of us were excited to see just how bright this new form of light could shine. It would not take long. Against the New York Football Giants, T.J.’s first two plays had earned him two sacks. Not only was he getting sacks, he was also dispelling another misconception within the weaknesses he has heard within his 2017 draft profile; not strong enough agains the run. Given the fact that T.J. had tackles for loss against the Giants and showcased the ability to set the edge, much of those fears in itself were quelled as he showcased those run stuffing traits for the remainder of the Preseason. It was his continued evolution of his pass rushing ability that many of us wanted to see against Atlatna and more specifically, Indianapolis. In neither game did T.J. record a sack or a pressure. However, in the Atlanta game, T.J. received his first unoffical “Welcome to the NFL” moment upon facing the talented Jake Matthews; son of the great Pro Football Hall of Fame Offensive Lineman Trent Matthews. While T.J. traded evenly with Jake on running plays going his way that day, he was humbled by Jake’s superior experience upon defeating T.J.’s ineffective tactic to bullrush and dip-rip the All Pro. 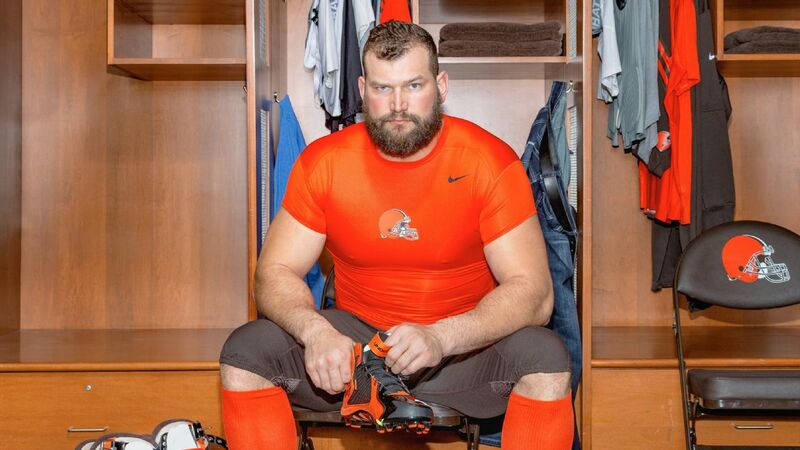 However, while this was just preseason, his next test will come against a future Hall of Fame player in Joe Thomas. Not only has Joe Thomas looked as solid as ever for the DawgPound, he still is a top five offensive tackle in the league after playing for 11 seasons. He may be 32 years of age but he still has plently to offer in protecting their newly anoited starter in rookie DeShone Kizer. This leads me to believe that T.J. Watt will play a big factor in Sunday’s game against the Cleveland Browns. While I am certain that, much like his matchup against Jake Matthews, T.J. can hold his own against the run, it is the pass rush that will ultimatley decide Sunday’s contest. This is also not accounting for the fact that this form of the Cleveland Browns, while some years away, are starting to see the light as well within a much better offensive line. If Joe Bitonio was short on friends along the interior, having the likes of J.C. Tretter, a top 15 offensive center and Kevin Zeiter, a top 10 offensive guard, gives Cleveland more options to use when running the ball, be it offensive guard pulls or stretch runs. While this will not directly impact T.J., a much improved interior will be critical for T.J. to showcase his abilities to maintain the edge on short yardage situations. More than just merely be a run stopping force though, T.J. will be tasked to best a future Hall of Famer in rushing the passser. Given the fact that Canton will not be too far off for Mr. Thomas, T.J. must use everything he has learned from training camp to just hold his own against him. Should he find success, Pittsburgh’s pass rush can and will make it tough for DeShone Kizer to find time to complete passes. Should he fail, the game overall could be much closer than others are making it out to be. With the stage now set, two opposing forces will clash on Sunday. Will Pittsburgh’s newest radiant light be able to best a living legend? Time will tell as we will have to wait and see. Previous Mock Of Ridley: Free Agency Period. First Take.